But who will get the cash and who will be left behind? Although it was surmised that Mississippi sportsbooks, especially those in Biloxi in the Gulf Coast Region, may be continually overloaded with Louisiana money wagered on their cherished New Orleans Saints, one insider tells Sports Handle its not as bad as one might think with a few hundred thousand in collective exposure rather the millions. 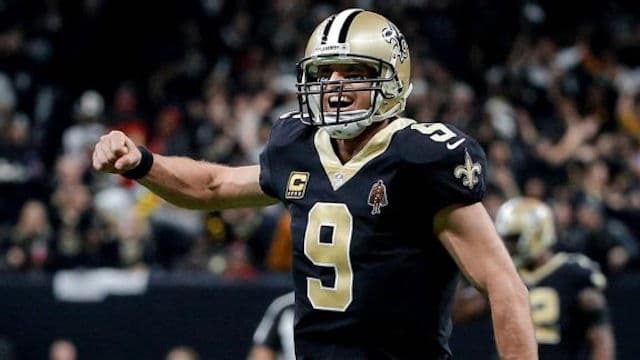 Generally, a bookmaker’s best result is when the favorite wins, but does not cover as was the case in Sunday’s NFL Divisional Round contest when the Saints (-8 or 8 1/2) defeated the Eagles 20-14. Such results also smash point spread parlays, as many bettors will usually utilize the final game of the weekend in an effort to score. Another prominent sports betting executive with a national reputation warns that despite the momentum the legalization of sports betting has garnered even before the May U.S. Supreme Court ruling, many operating casinos, some run by major corporations, just weren’t quite ready to spring into action when the high court removed the federal barrier to each individual state establishing sport wagering. Some deals appear to have made a little too hastily, according to one insider. He indicated that when a national sportsbook operator comes in, numerous items have to be negotiated. Who is going to be liable for losses and how will that liability be allocated among the partners? If there are profits to be divided, how is that handled? Sports Handle was told that Meadowlands Racetrack operators received a hefty seven-figure payment in exchange for allowing the FanDuel Group access to operate the sportsbook at the prime location (and online) in populous Northern New Jersey, near New York City and in the same complex as MetLife Stadium, home to the New York Giants and Jets. 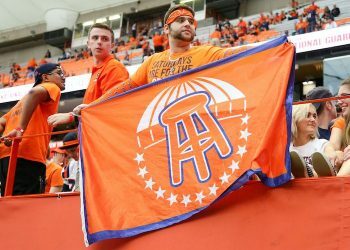 The FanDuel Sportsbook located the Meadowlands led the field by a lap in 2018 gross revenue among retail outfits, generating $16 million since its launch in mid-June. The question remains how New Jersey will fare when more and more Pennsylvania sports betting operations begin in the next few months and when they face competition from New York, expected sometime in 2019, but perhaps only upstate. A particular dilemma is faced by Mississippi casinos is that a national operator with a sportsbook deal in many different marketplaces can balance its liability by adjusting lines and prices in other markets, but the casino owner who is allowing that national bookmaker to set up shop in his regional casino only has access to the bettors and their action on their property –win or lose. Another issue is which entity — the existing casino or the outside sportsbook operator — is going to pay for the creation of a sportsbook lounge or remodeling of an existing space to create a sportsbook attracting patrons who may have numerous other options? If they are jointly sharing the cost, how are those costs to be consolidated? 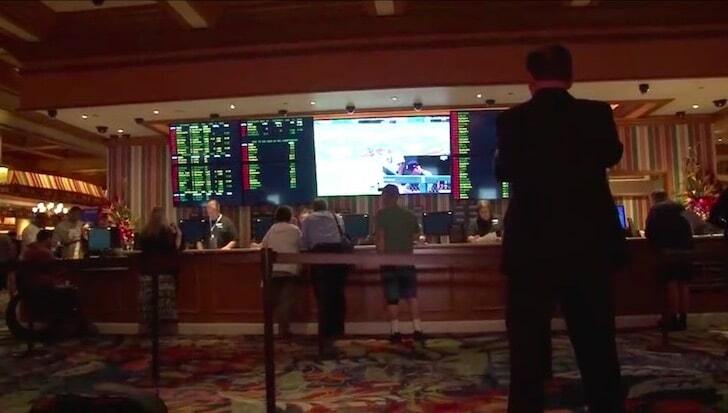 Our insider also points out that many regional sportsbooks were indeed shoehorned into already-existing spaces in casinos that were insufficient for keeping the sports bettors on property, perhaps ready to risk winnings at another casino game or enjoying a meal or spa treatment. In Las Vegas, CG Technology spent millions for extensive sportsbook remodeling as part of its long-term deals to operate sportsbooks in several major Las Vegas Strip and off-Strip properties. CG additionally pays significant rent to maintain their bookmaking operations in those properties, believed to be in exchange for a larger share of the profits. How sports wagering profits and losses are allocated is confidential, but the guaranteed, high dollar rent payments remain attractive to properties like The Palms, The Venetian, M Resort, and others. Another issue is who pays, if a good customer wants a drink or a meal. The business model at most Nevada casinos operating their own sportsbooks allows managers to provide comps to big bettors and additionally allows smaller players to earn loyalty points to earn free drinks and food. 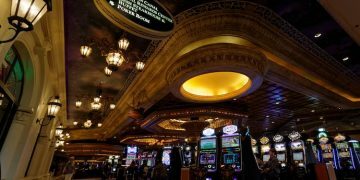 This can become a sticky issue for regional casinos that view a sportsbook as an amenity rather than a profit center. The out-of-state operator has to rely on sports bets alone to make money, not the success of the overall casino operation. The regional operator has traditionally regarded comps for drinks and food for the frequent bettor as a good investment. Many sports bettors, by virtue of abundant free drinks on casino gaming floors, have come to expect beverage perks, so the expectation is often set. But keeping the sports bettor on premises can be costly. So should the risk managing entity from out-0f-state be responsible for bearing some of those costs? Growing pains and the steep learning curve were also evident in New Jersey where the DraftKings Sports Betting National Championship saw some players unable access their funds from winning wagers in order to get down the Eagles vs. Saints game, the last betting opportunity of the contest. This inability to access funds is believed by many to have played a significant role in determining the winner. After a lot of consideration, here's what I think @DKSportsbook could have done to ensure the most fair ending: Void all Saints/Eagles bets once it became known that some Pats bets were not graded before kickoff. Then allow live/2H wagering up until the third quarter kickoff. DraftKing competitor FanDuel faced its own problem, when, after initially failing to pay out a winning wager taken in error, decided to make good on the bet to the tune of $82,000 thus quelling a spate of negative publicity. It has also become axiomatic that a vibrant sports betting marketplace demands mobile wagering. 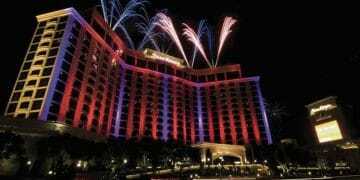 It’s driving the major revenue in New Jersey and 75 percent of all betting handle, a percentage that has increase every month. How mobile betting profits are divided between the host property and the risk manager remains a key issue. How much of the mobile betting dollar should belong to the host entity? It’s expected that more and more states are realizing that mobile betting is going to be required to be competitive and is certain to be a part of all new legislation considered in 2019. It’s likely to be reconsidered in Mississippi, where according to current regulations, wagering is permitted on-premises only.